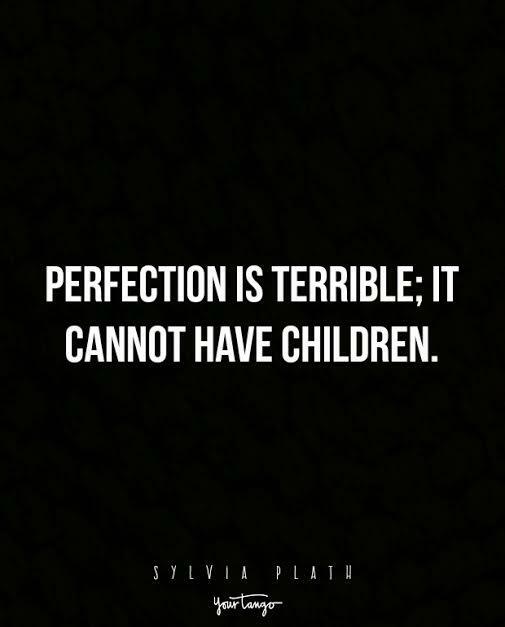 "Perfection is terrible; it cannot have children." The Bell Jar is probably the first thing that comes to mind when you hear the name Sylvia Plath. It’s probably her best-known work, but this American author and poet spent her short life writing pages of poetry and stories. 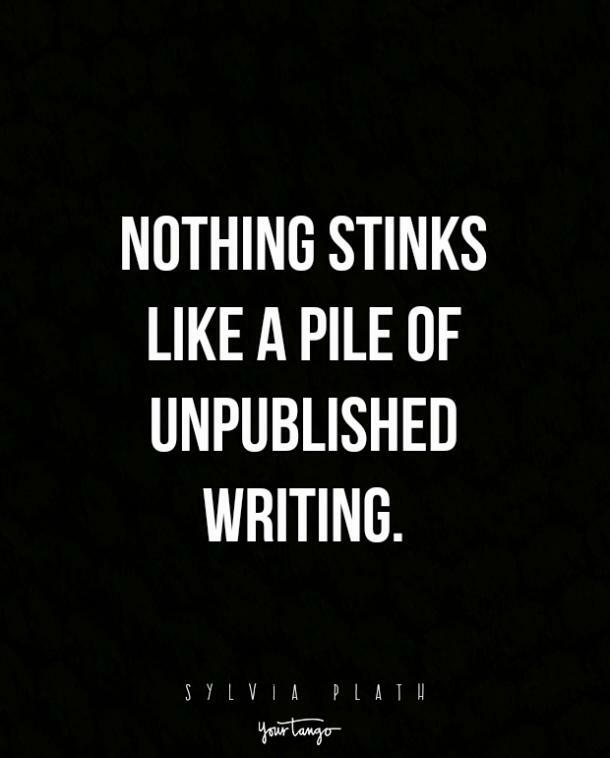 Hailing from Boston, Plath was being published in her local paper before even turning ten and went on to be an acclaimed author after college. She was pretty brilliant even as a little girl but was also deeply troubled. It was during her college years that things took a downward turn and Plath spiraled into a deep and clinical depression. Her poetry was beautiful but it came from a place of sadness. Locked in her own mind, Plath slashed her own legs to see if she had what it took to commit suicide. She then took her mother’s sleeping pills and crawled under their house to die. After three days, she was found and given treatment, including electroconvulsive therapy (ECT). 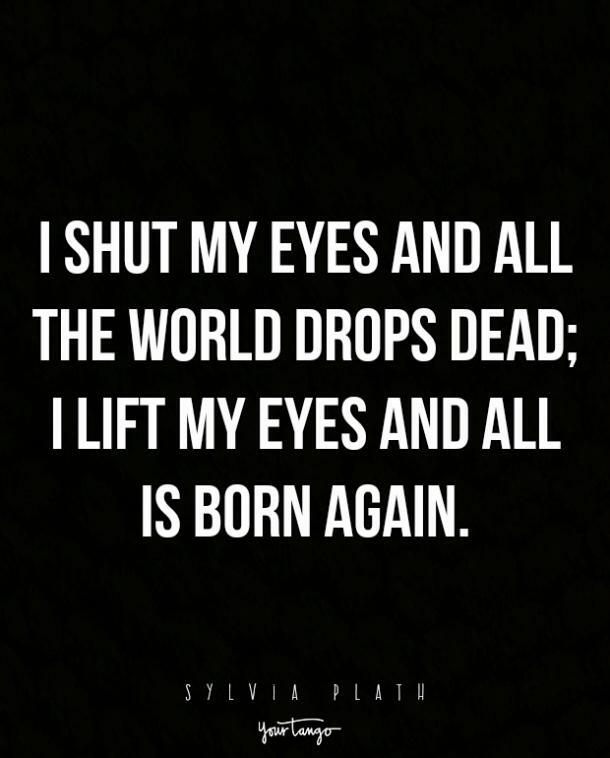 Recovering quite nicely, Plath continued her studies and spent some time at Cambridge in England. Able to find love, Plath married to poet Ted Hughes. They traveled together, wrote poems to each other and eventually had two children, a boy and a girl. The family moved to England but the relationship between Plath and Hughes didn’t last. After multiple suicide attempts, Plath stuck her head inside her own oven and died of carbon monoxide poisoning at only 30 years old. 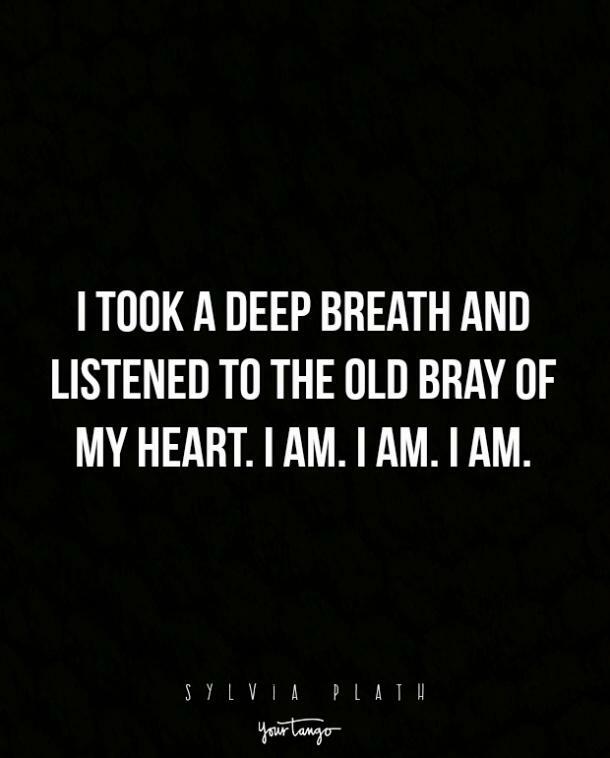 Her mind was a beautiful, tortuous place and these quotes about life give us all a little insight on what it was like to be Sylvia Plath. 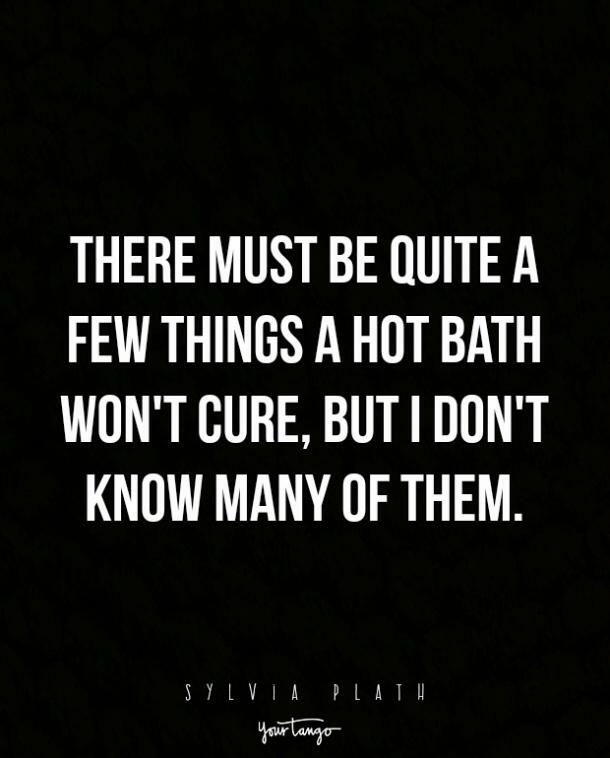 Here are 18 Sylvia Plath quotes that show you how truly talented and tormented she was. 1. 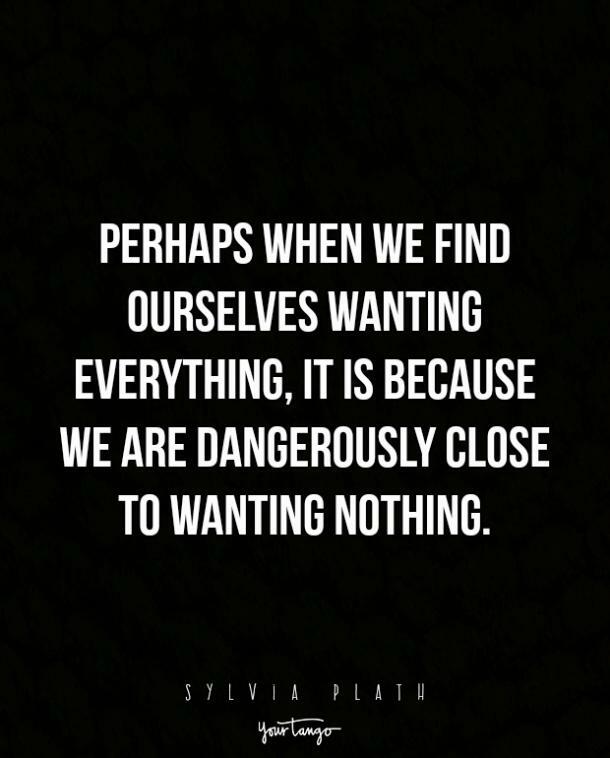 We really don't know what we want. 2. 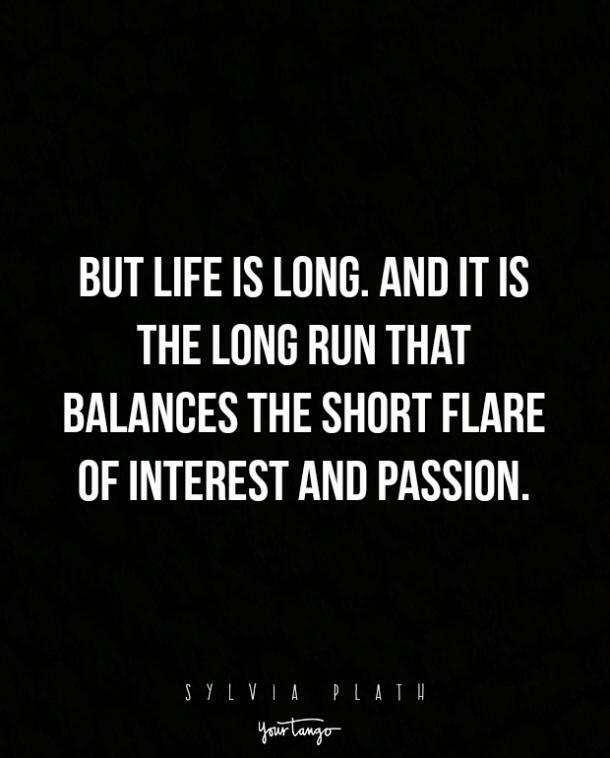 We want a balance in life that includes our passions. 3. 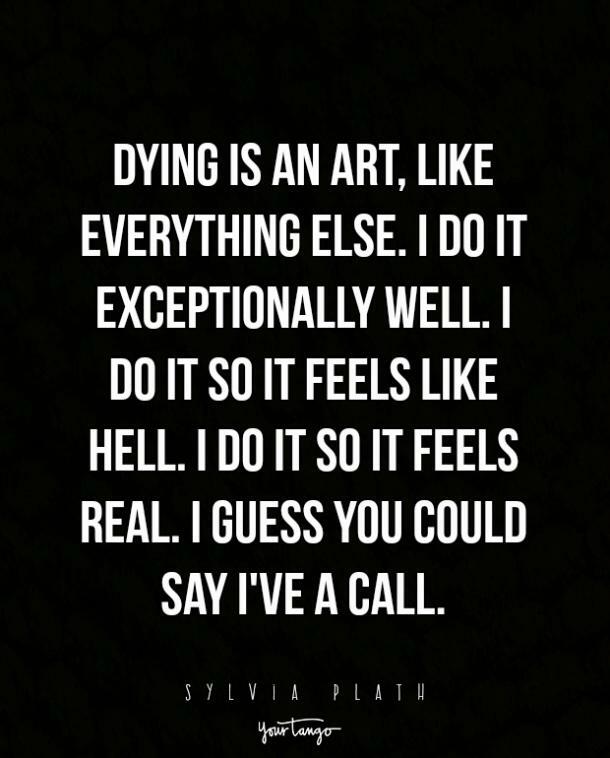 It's important to take a step back and appreciate just being alive. 4. 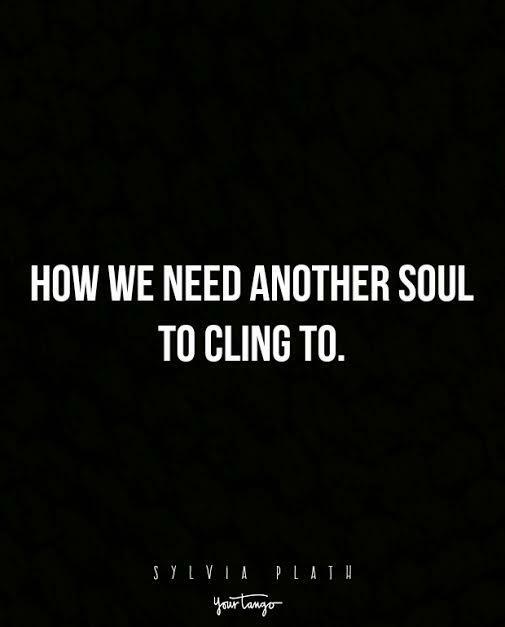 Sometimes, we are too preoccupied with our problems to remedy them. 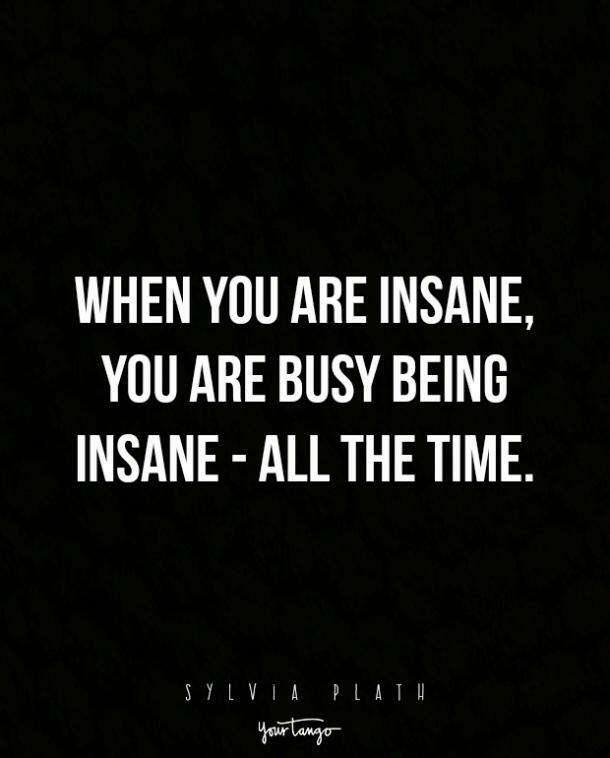 "When you are insane, you are busy being insane — all the time." 5. 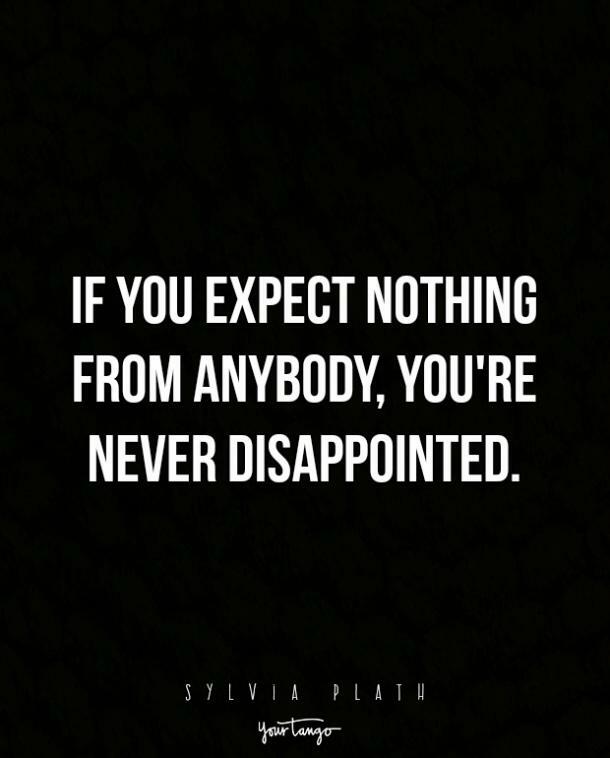 Without expectations, everything is better. 6. Read a book in the bath, add some candles, and life gets a whole lot easier. 7. The world is made up of people that are worth getting to know. "I love people. Everybody. 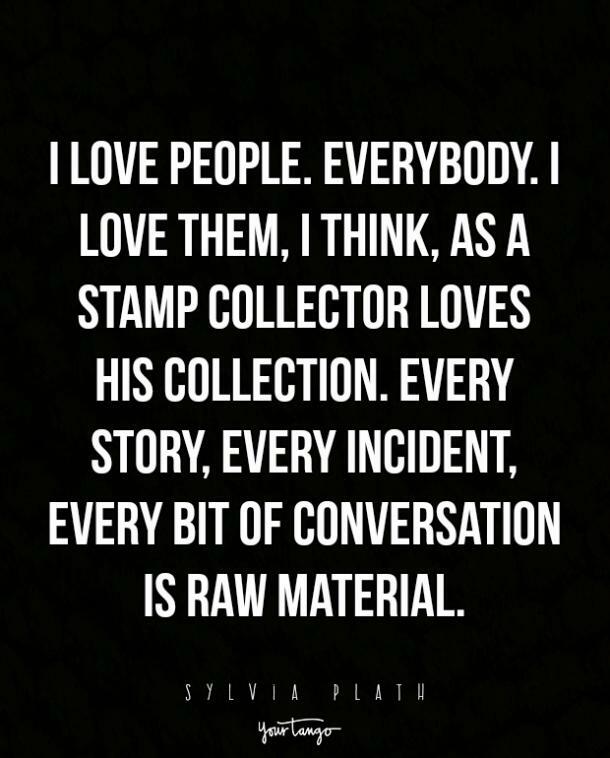 I love them, I think, as a stamp collector loves his collection. Every story, every incident, every bit of conversation is raw material." 8. You are capable of more than you know. 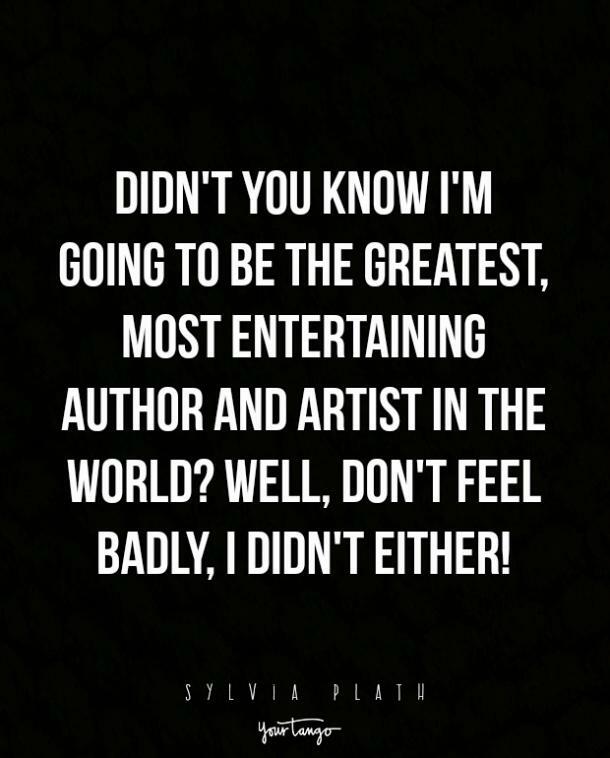 "Didn't you know I'm going to be the greatest, most entertaining author and artist in the world? Well, don't feel badly; I didn't either!" 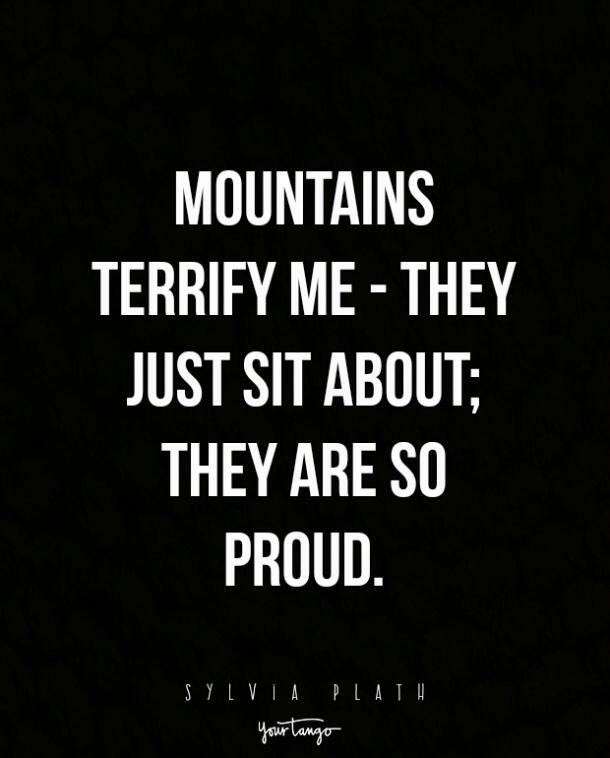 "Mountains terrify me — they just sit about; they are so proud." 10. Imagination is one of the greatest things you can possess. 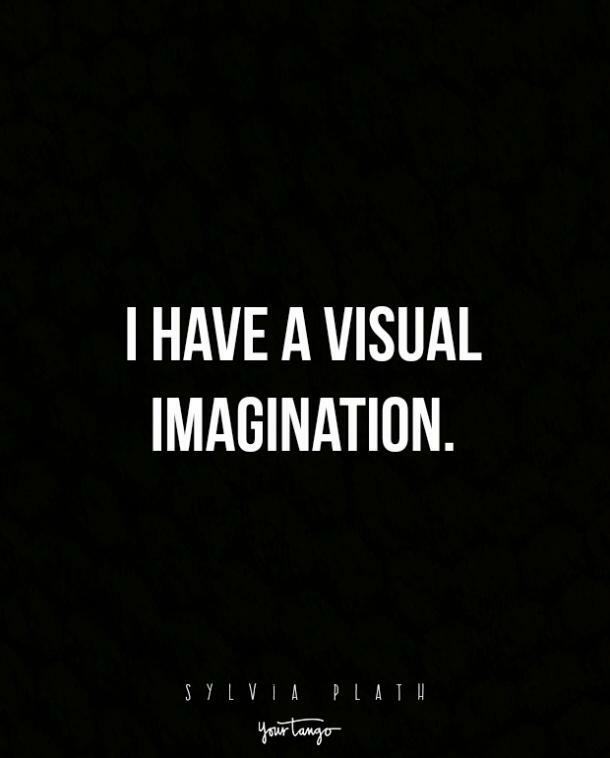 "I have a visual imagination." 11. The truth can be painful. 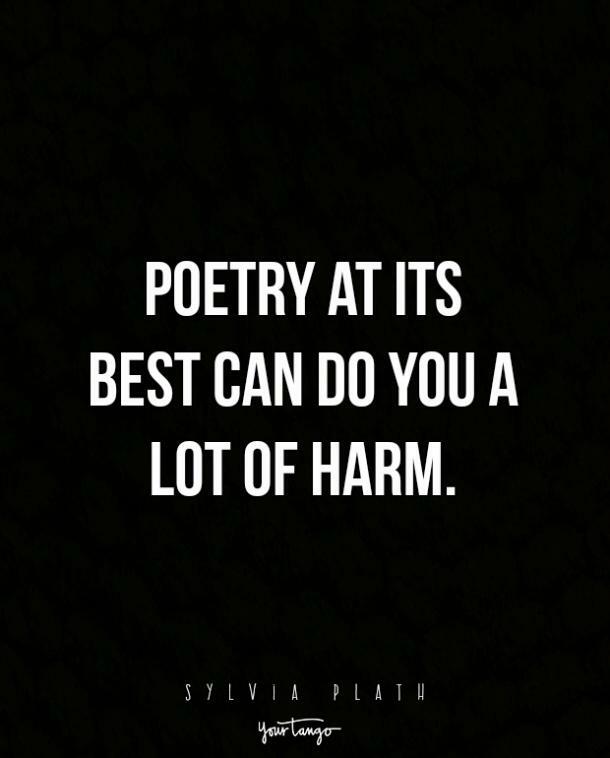 "Poetry at its best can do you a lot of harm." 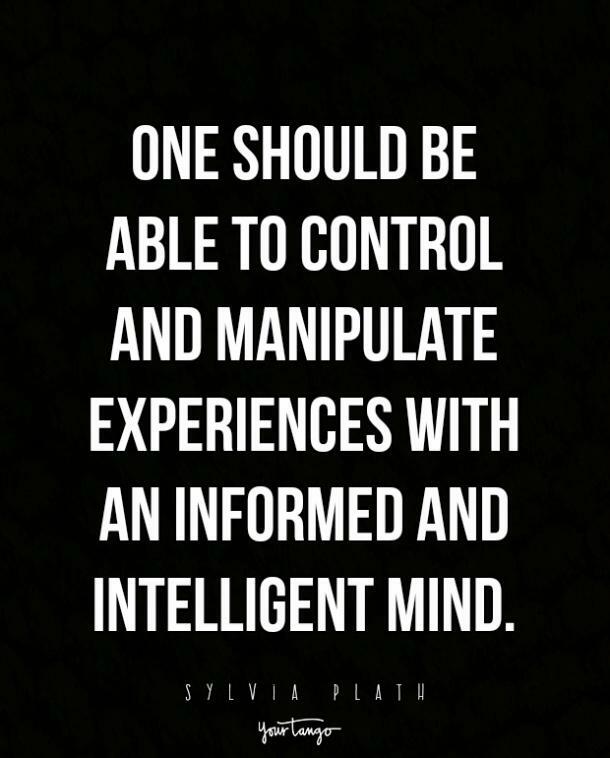 "One should be able to control and manipulate experiences with an informed and intelligent mind." 13. Don't let your potential go to waste. 15. Humans are social animals. 16. Don't strive to be perfect because that doesn't exist. 17. Being stuck in our own minds can be a dangerous thing. 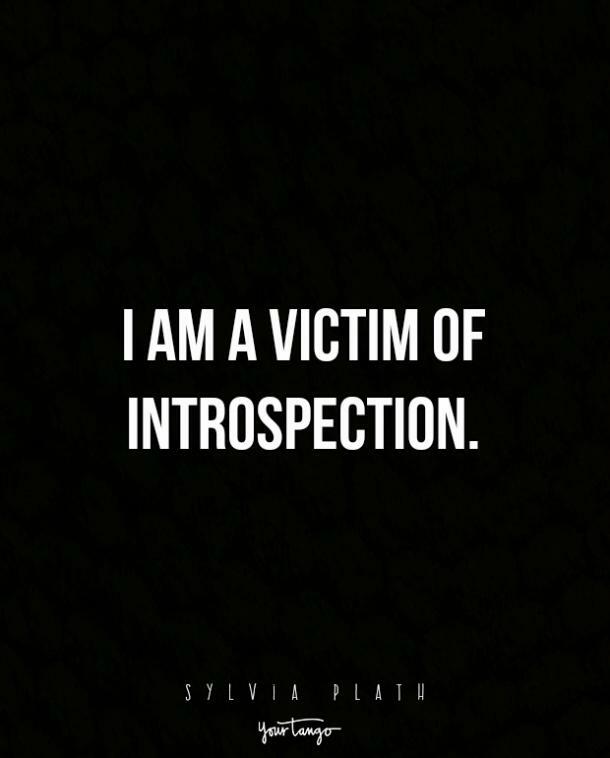 "I am a victim of introspection." 18. Life will always go on.